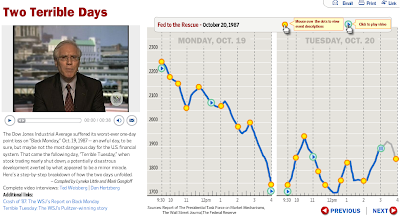 The WSJ has a nice interactive piece on the 1987 crash via an interactive chart with videos. See any similarities??? 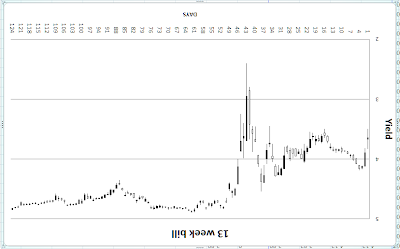 Draw your own conclusions, and here's another "TIP",,don't forget to look at volume on these products as well. I like Technically speakings blog, he's got good analysis. As many of you smart investors and traders already know, the fed fund futures have priced in a 25bp cut for the upcoming meeting on Oct 31 (I never gave a HOOT about FFF when I first started trading, let alone knew what they were, but since I'm starting to analyze intermarket relationships more, I see this as a vital component in the stock/bond relationship). With the recent run up, what has been going on in these markets? 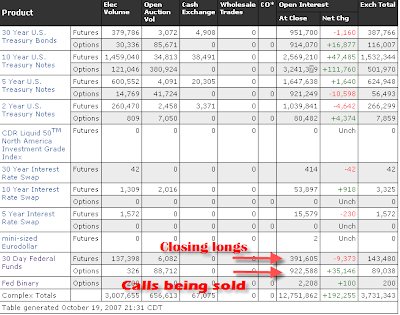 Here is a breakdown from Friday with a couple of my own thoughts on the change in open interest in futures and option contracts. What is your feeling on Monday? 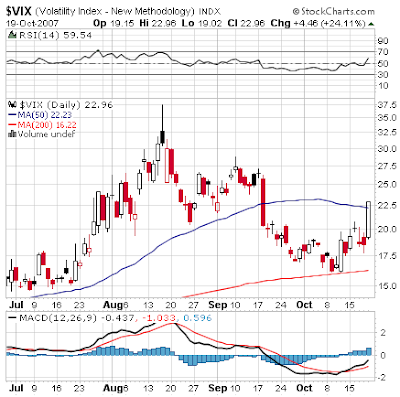 Is the market gonna crash hard on Monday? I highly doubt it. Expecting Asia to open lower. the first hour will be vital to see if put holders exercise there positions, which again I highly doubt, because that would require alot of money, and it would be stupid to do so 1 week ahead of FOMC interest rate decision. Expecting a pullback in bonds and a small bounce in equities at the end of day on Monday.